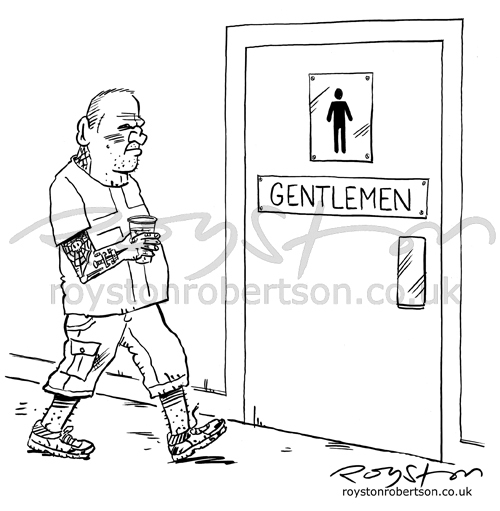 Here's a bit of toilet humour for you, as part of my series of rejected cartoons. The disconnect between the rather old-fashioned term "gentlemen" and what is often the modern reality is what I was trying to get at here. Whether it works or not, I'm not sure, given its oft-rejected status. 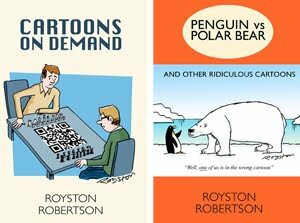 More Not Yet Sold cartoons.